Though levels in Chennai were not recorded by the data centre, decreasing water levels in neighbouring districts directly takes a toll on Chennai’s drinking water sources. CHENNAI: In a clear indication that Tamil Nadu is going to face a thirsty summer, groundwater levels in Tiruvallur, Kancheepuram and Vellore have dropped by an average of 1 metre from January. Other districts in the State are no better. 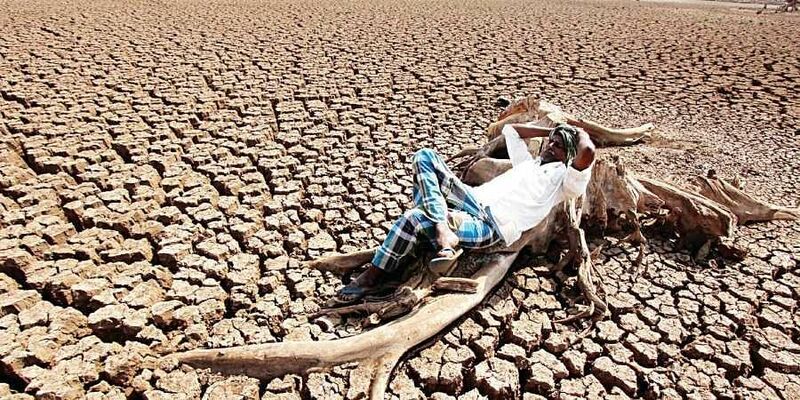 According to data released for the last two months, by the State Ground and Surface Water Resources Data Centre, 19 out of 32 districts are in the red category, with water levels depleting steadily. Vellore, Dharmapuri, and Tiruvannamalai have a high depletion rate of close to four metres. In Perambalur, the water level was falling at a rate of 4.32 metres in December 2018. Now, it has recorded 6.01 metres. Experts fear the drought this year could be worse than what was witnessed in 2017. Borewells in core areas such as Santhome, Choolaimedu, Annanagar, Triplicane and peripheral areas of Tambaram, Egatoor and Sholinganallur have gone bone-dry. Data from January shows groundwater level in Tiruvallur at 5.4 metres, Kancheepuram at 3.88 metres and Vellore at 8.73 metres. By February, it went down to 5.89 metres, 4.22 metres and 9.39 metres respectively. Private water tankers -- which provide an approximate 600 million litres to those parts of Chennai that get an inadequate supply from the Metrowater -- draw water from wells in neighbouring districts. "The wells in Avadi, Red Hills and Poonamallee, from where we usually extract water, have gone dry. So we have to go further down to Kancheepuram and Tiruvallur. It's going to get worse by April-May," says N Nijalingam, president of South Chennai Private Water Tanker Association. Officials said that though cyclone 'Gaja' brought moderate rainfall to the southern districts, due to lack of water retaining structures, groundwater levels went up only marginally. "Most of the rainwater just drained into the sea. Only 13 districts are now in the green category. Among that, apart from Nagapattinam, Pudukottai and Namakkal, other 10 districts have witnessed negligible rise rate of 0.16-1 metres," says a senior official. Data also shows that levels in districts such as Kancheepuram, Tiruvannamalai, Vellore, Perambalur, Ariyalur and Tiruvallur have reached the same depletion rate as witnessed in 2017. Chennai: Foundation stone for drinking water and underground drainage projects for Chennai worth Rs 666.75 crore was laid by Chief Minister Edappadi K Palaniswami at the secretariat here on Sunday. To carry out underground drainage connections for Chinnasekkadu, Manapakkam, Karapakkam, Nerkundram, Mugalivakkam and Manali, Rs 419.19 crore has been set aside, said a release from the Department of Information and Public Relations. To ensure uniform distribution of water in the Valasaravakkam, Rs 69.6 crore has been earmarked and to upgrade the pumping station at Alandur, Rs 25.5 crore allotted. Additionally, similar projects for the state worth Rs 197 cr were also unveiled.